Xiaomi took the covers off its latest budget smartphone — the Mi Play — on its home soil today. The smartphone is first to come from the brand with a ‘Play’ moniker as well as the waterdrop notch. However, the Mi Play not only marks several firsts for its maker but also for MediaTek as the handset comes powered by a brand-new processor from the Taiwanese company. If you are wondering what else the latest offering from Xiaomi brings to the table, you are in the right place. Here’s the list of top features of the Mi Play. The Mi Play comes with a design that’s unlike any Xiaomi devices of the past. The smartphone comes in a premium glossy design, which feels like glass but is actually a polished polycarbonate. The company has maintained the uniformity in design by pouring the glossy finish over to the sides. Moreover, the Mi Play is available in two attractive gradient hues — Dream Blue and Dawn Gold, which offers a different shade depending upon the angle at which the light hits the rear shell. There’s also a regular-looking black colour variant for those who are looking for a classy option. It’s not just the design that makes Xiaomi Mi Play stand apart from the rest of its siblings. The latest offering is also the first from the phonemaker to feature a waterdrop notch display. The device flaunts a 5.84-inch display with an aspect ratio of 19:9. The screen flaunts full HD+ screen resolution, which results in a pixel density of 432ppi. The phone offers a high screen-to-body ratio barring the bezels at the bottom. Coming to the core spec sheet of the Mi Play, it’s the first smartphone in the world to come powered with MediaTek’s latest Helio P35 SoC. The 12nm processor is an octa-core silicon that comes with a clock speed of 2.3 GHz. Accompanying the processor is PowerVR GE8320 GPU to take care of the graphics. The chipset is further mated to 4 gigs of RAM and 64GB storage, which can be further expanded up to 256GB using a microSD card. The phone is powered by a 3,000mAh battery and boots Android Oreo-based MIUI 10 out of the box. In the imaging department, the Xiaomi Mi Play has been equipped with a dual-camera setup on the rear panel. The smartphone gets a 12-megapixel primary shooter which is accompanied by a 2-megapixel depth sensor. For selfies and video calling, the handset sports an 8-megapixel snapper. Both the rear and front cameras on the Mi Play benefit from the AI prowess of the Helio P35 SoC and tout features like AI micro plastic beauty — for clicking beautiful and blemish free selfies. While there’s no word on the Indian launch date of the smartphone, Xiaomi’s Mi Play goes on sale in China starting December 25th. The smartphone has been priced at RMB 1,099, which translates to roughly around Rs 11,000. As part of the introductory offer in its home country, the manufacturer is offering 10 GB of high-speed internet every month for a duration of one year, which makes the handset even more interesting proposition. 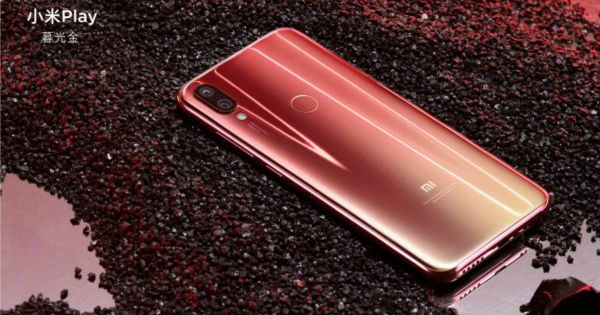 These are the top five features of the debut Play series smartphone from Xiaomi. Are you interested in picking up the handset in case it lands in India? Let us know in the comment box below.